What is Softball Batter Up? "A program that makes playing, teaching and coaching softball easy." 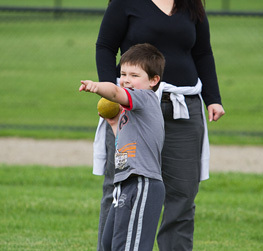 Softball Australia’s national participation program, Softball Batter Up, is designed to be fun, flexible and engaging for children from kindergarten age to Year 6, focusing on fun activities while learning basic throwing, catching and striking skills. You don’t need to be an experienced softballer or coach to deliver a successful program, which can be adapted for all ages and abilities using the Game Sense and CHANGE IT approach. 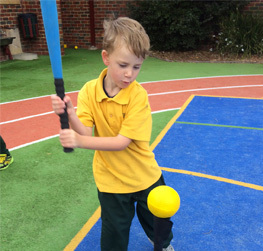 Softball Batter Up activities align with the national health and physical education curriculum and are written with coaches and teachers in mind. 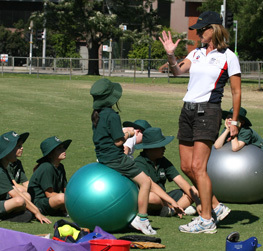 Detailed information is provided on each activity’s learning intention, band levels, and skill focus, together with questions to encourage participant engagement. 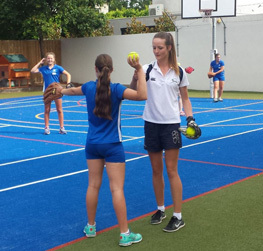 With more than 60 different softball activities and games on offer, you can design your own softball sessions, or even design your entire program allowing for repetition over time to maximise learning and development opportunities. What is Softball Batter Up ?